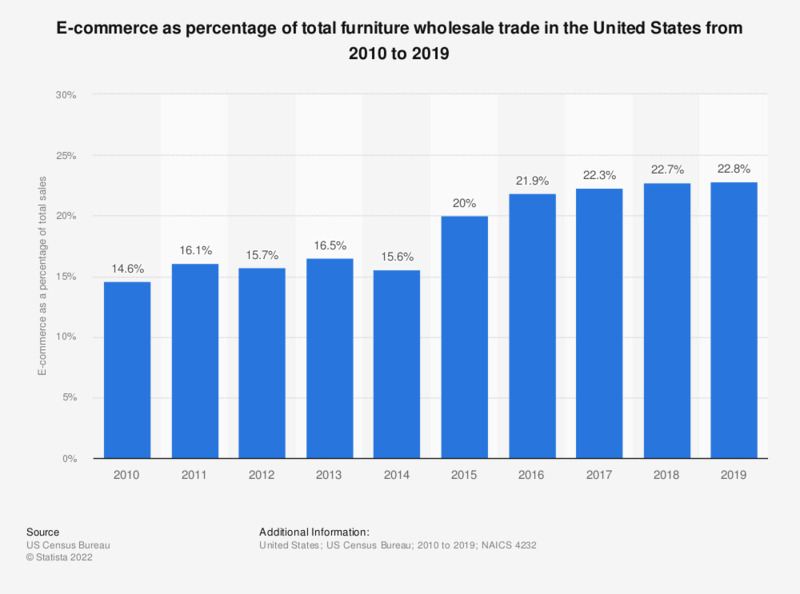 This timeline shows the share of e-commerce in total wholesale furniture and home furnishings sales in the United States from 2007 to 2016. In the last reported year, the share of e-commerce in the sector of was 20.9 percent. When you purchase large furniture, which behavior best reflects your attitude? Which aspects are particularly important to you when you buy baby furniture?